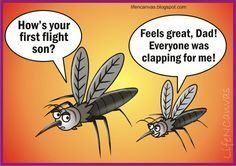 Fricking mozzies around the Gold Coast the last two weeks after the rain are driving me bonkers. I refuse to wear chemical repellents as that crap breaches the skin and gets into the blood stream mucking up my alcohol levels. What I need to do is, find the prick in this video running ‘The Park’, and take him out for creating so many bloody mosquitoes.